Farming and agriculture are challenging industries at the best of the times, so the last thing you need is disruption to your production and delivery schedules caused by ventilation control problems. During the harvest period, ventilation is widely used to assist the storage of produce such as apples and potatoes. Without a constant circulation of cool, fresh air, restricted air flow within the storage facility will lead to mould forming as well as the accumulation of health-harming air pollution. Andrews Ventilation have worked alongside some of the country’s most prominent agricultural companies to help restore the conditions needed to preserve produce prior to sale. Our well-designed, temporary fans are used all year round and ideal for air movement within agriculture and farming environments. The deployment of a rented ventilation solution will instil more desirable conditions throughout the application and assist the removal of damaging condensation and fumes. Ventilation is a crucial component of protecting harvests and will ensure a constant supply of fresh air to your storage facilities. Additionally, fans are a perfect way to regulate temperatures, humidity and air contamination. Failure to closely monitor conditions will increase the likelihood of spoiling and ultimately affect stock levels if part of a yield is lost. Our remarkable track record of providing bespoke ventilation equipment according to individual needs is validated by frequent repeat business from clients who trust us. We guarantee to have our innovative ventilation hire equipment on site and functioning within a matter of hours. Delicate crops are immediately at risk of becoming spoiled because of damp seasonal conditions if appropriate steps are not taken at an early stage. 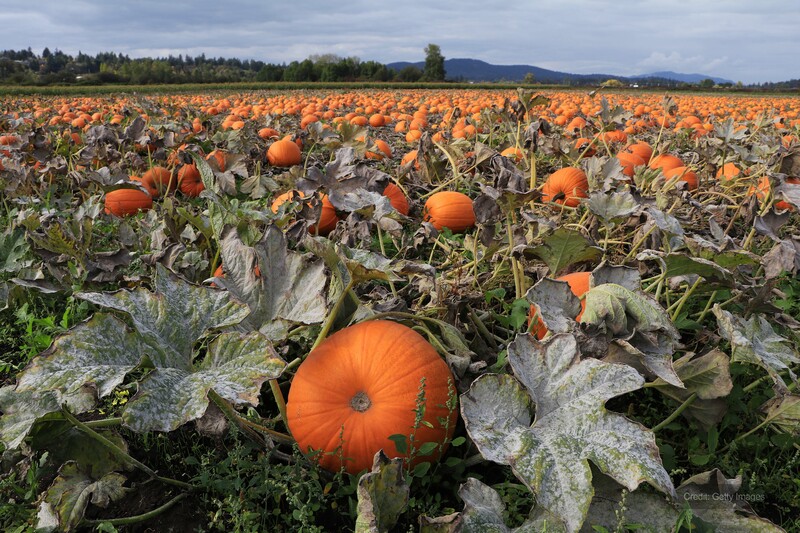 High moisture content makes freshly picked produce extremely susceptible to quickly developing bacterial soft rot and mould and become unsaleable as a result. It is absolutely imperative that all produce is stored appropriately, with air being constantly dispersed and replaced with fresh air in order to prevent the formation of harmful moulds. Our specialist ventilation equipment and expertise are directly responsible for reducing the risk of mould growth for hundreds of companies in the agriculture and farm industry. Our bespoke temporary ventilation solutions are designed for continuous operation across a full platform of agricultural surroundings. 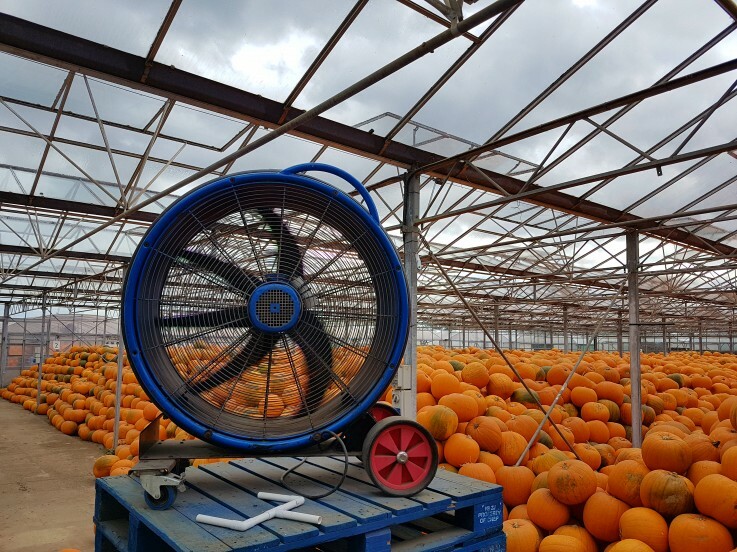 We are confident that our selection of high capacity ventilation fans have the power to counteract potentially threatening humid conditions and are here to help safeguard your stock – whether it be floral, food produce or something else. Hazardous gases on farms can be found in badly aerated silos, barns and manure tanks, or other confined structures where gases can accumulate to harmful levels. If the air in such applications is deprived of oxygen it can have costly ramifications for crop life – and even affect people working inside. Manure that is stored for a long time without sufficient ventilation will undergo the process of anaerobic decomposition, producing toxic levels of gases as a result. Our agricultural ventilation fans extract fumes to improve air quality for maintaining plant health and livestock safety and are frequently selected as the best method for removing manure gasses. Temporary ventilation equipment doesn’t just improve air quality, but also reduces heat and moisture levels along with extracting toxic fumes, pollutants and unpleasant odours. Our competitors are unable to match our wide fleet of ventilation hire units, which are widely used to provide necessary air changes and remove toxic fumes from affected applications. A solution of this nature guarantees customers a safe, adequate and cost-effective remedy that can be added to or altered should your requirement ever change.